Is Your Facility Ready For The Updated OSHA Ladder Rules? Norcross, GA – Building on its 30+ year legacy as a leading environmental and safety engineering firm, CTI (Conversion Technology, Inc.) announces a new and exciting strategic partnership with industrial safety solutions manufacturer, Fike and the world’s leading bolted steel tank, silo and aluminum dome manufacturer, CST Industries. While some facilities, typically with a corporate hierarchy, regularly conduct internal audits or answer internal questionnaires about their environmental and safety practice, it is not very common for a facility to have a review of all permits, programs, procedures, and equipment to make sure that they follow all federal, state, and local regulations and requirements. We recommend for all facilities to conduct periodical Environmental and Safety Compliance Reviews (ESCR) either with an internal team or by a third party. The ESCR should include a review of permit and recordkeeping requirements, procedures and SOPs, and employee training. The review should also include a physical walkthrough of the facility and process lines to identify any gaps in safety and environmental compliance. The ESCR can also be conducted in conjunction with global and corporate standards, management systems, as well as specified internal auditing procedures. The ESCR will not only identify gaps in compliance but will allow for the team to prioritize the abatement of the gaps based on capital investment required, time allocations, and employee and environmental safety. It is recommended the ESCR be conducted twice a year, or, at a minimum, once a year. 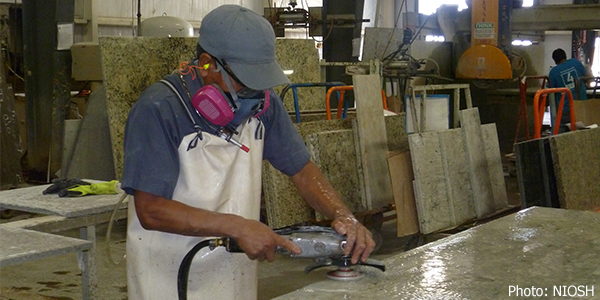 Are You In Compliance with OSHA’s New Silica Rule? The Occupational Safety and Health Administration’s (OSHA) new rule for respirable crystalline silica went into effect on June 23, 2018. Prior regulations for silica were deemed to be outdated as new research regarding the negative health effects of respirable silica has been conducted. Exposure to high concentrations of silica dust can occur in the construction industry, precast construction and fabrication, concrete product manufacturing, and more. Workers who inhale small crystalline silica particles are at risk of developing severe illnesses, including silicosis (an incurable lung disease that could lead to disability or death), lung cancer, and kidney disease.